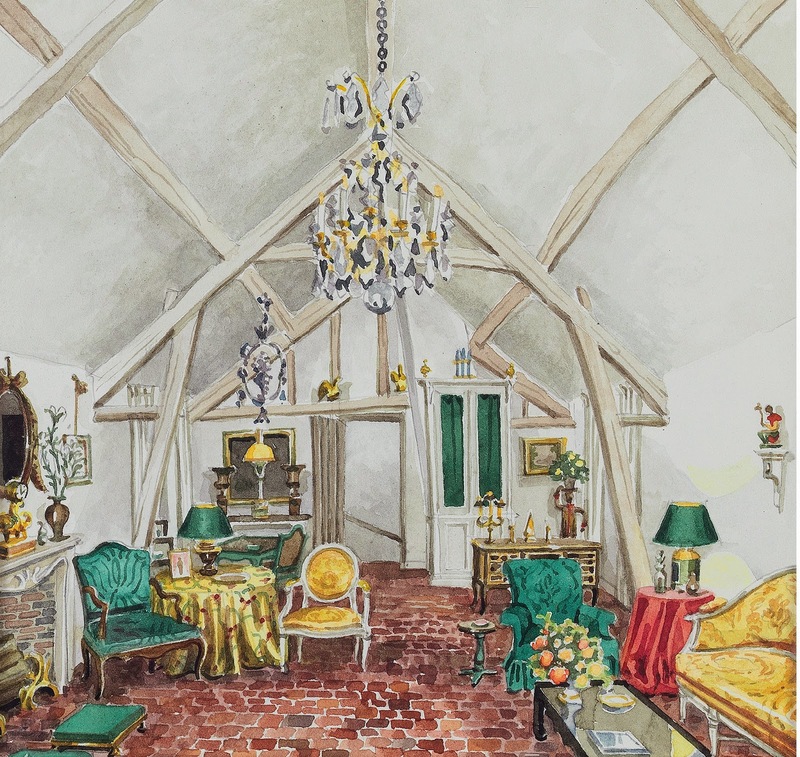 Much more than an Interior Design book for the discerning collector, this author delves into the life and times of Mr. Stacey. A gentleman, reserved by nature who did not need to promote himself or his interior design business. Referrals came one after another, often finding himself designing multiple homes for many clients. 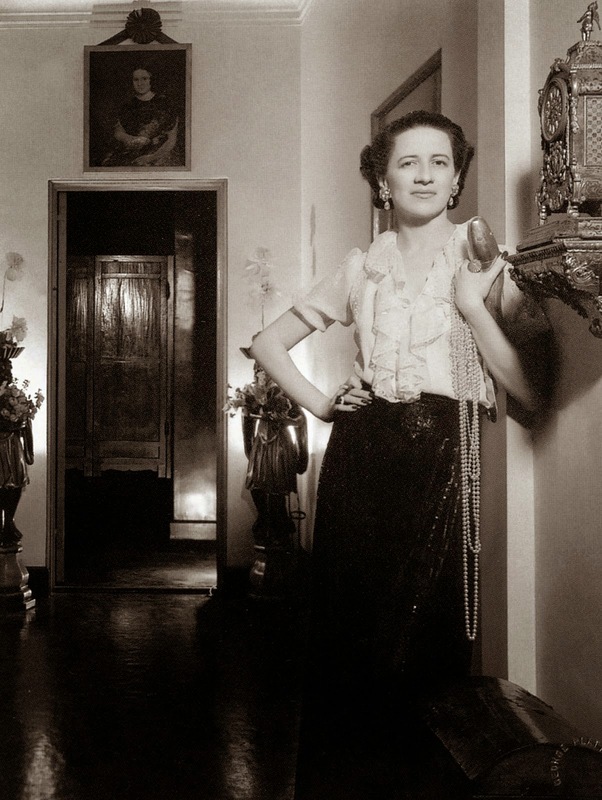 Diana Vreeland in the Entrance Hall of her Park Avenue residence designed by George Stacey. 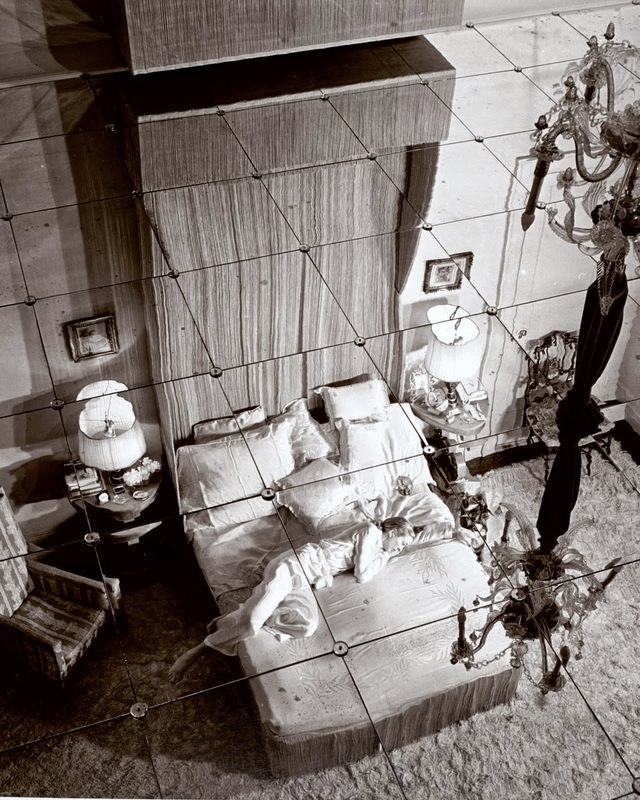 Vreeland was not only a client, as editor, she arranged photo shoots for Vogue Magazine in many of the homes he designed. The fact that Stacey was so welcomed into her and other wealthy client's circle of friends spoke for his character and the loyalty of his clientele. Billy Baldwin dubbed him "The King of Decorators" and Statesman Averill Harriman gave Stacey the nickname "Minister of the interior". 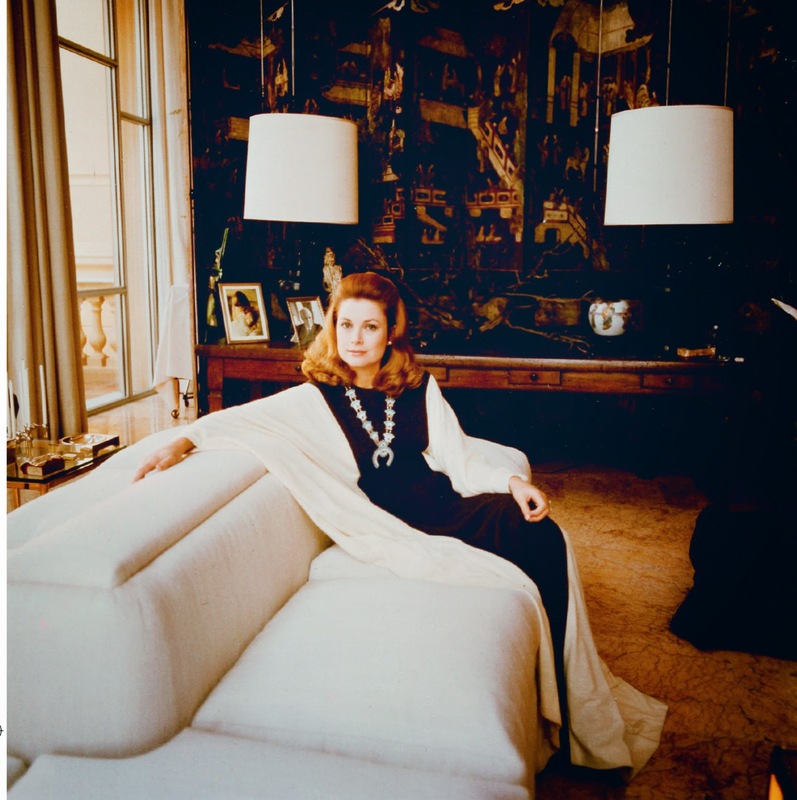 Stacey became the master at mixing fine antiques, coromandel screens, and gilt mirrors with urn lamps, wicker chairs and basketry (he was an antique dealer for some years) Using saturated colors sublimely, symmetry and shimmer, it was indeed "Cafe Society Chic". 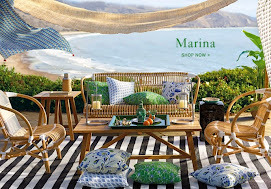 Designers who have cited his influence include, Mario Buatta , Billy Baldwin, Michael Taylor, Stephen Sills, Tom Scheerer and Nick Olsen among them. How many designers can transform a former chicken coop into this luxurious yet relaxed abode. ( he was the first to mix it up in this manner) Crystal chandelier, luxurious fabrics and antiques live comfortably together with a laid brick floor! 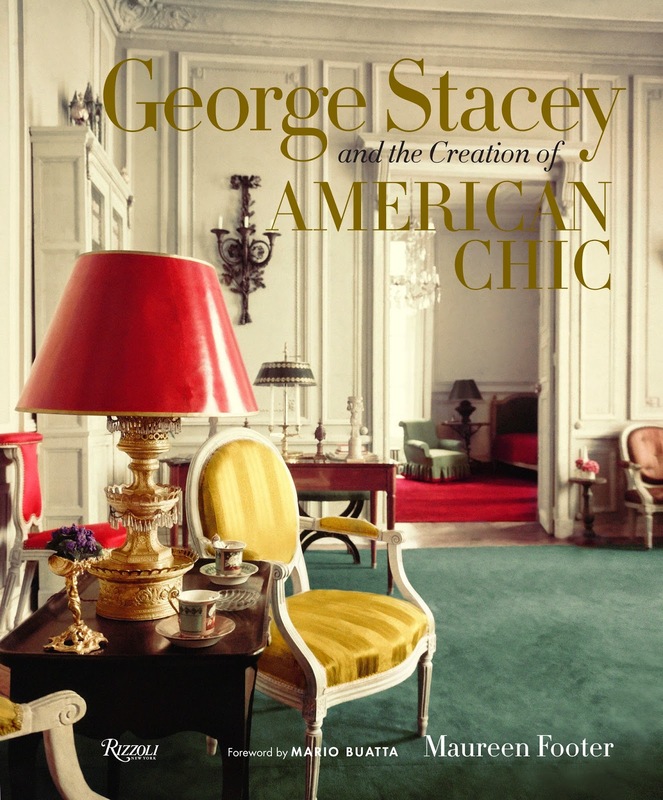 You will want to add this to your library and can purchase George Stacey and the Creation of American Chic at Amazon It is a fascinating story of an icon in American design. If you are not receiving updated posts please subscribe by email to receive the latest! Looks like a wonderful book and a must-have for any design library. Thanks for sharing, Karena! Another 'must have', Karena! Thank you! That book sounds amazing, indeed:) Have a beautiful start to the week, lovely. You always have the best recommendations!! Thanks Karen, you keep educating us on some finer things in life. Good morning Karena! Thank you for informing me of the trouble the feed has been giving you; I have been having ups and downs with my blog roll for weeks/months now! Sometimes I have to manually enter my layout page to jump start my roll and get it so that I see new posts! This is a wonderful book filled with much inspiration. I love to see what are the elements that such designers put together to create a sort of "poetry" (I see things from the perspective of poetry!) and voilà: MAGIC. I will see where I can subscribe via email to your blog. THANK YOU! I read this book through TWICE after I bought it - it's entertaining, beautiful, and educational. 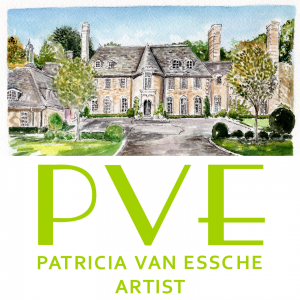 Sounds like a great book and what an impressive "resume" of design clientele and incredible talent. Hi Karena, Yes, he was fabulous! I think I need this book. Hopefully, we are going to see a return to deeply complex design--both high and low. 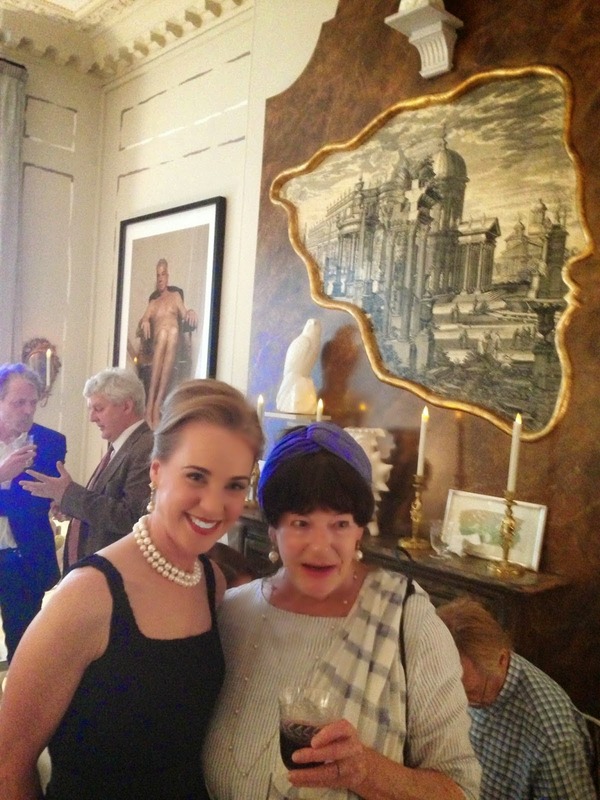 The chicken coop room and the pearls off to the side on MS.VEERLAND caught my attention! Looks like a great book. Wonderful hostess gift as well! What a joy to see these images and hear more about his talent. A book worth collecting. This looks like a wonderful book, Karena! I really enjoy your Blog... will have to get this book. This looks like a book I need to add to my library. Thank you for featuring this wonderful designer. Thank you for bringing this book to my attention. It sounds wonderful....there are so many great offerings out there right now it is hard to choose! !